Buying foodstuffs at the market to feed our 80 students costs a lot of money. We also strive to continue increasing the number of students so that more children from poor homes can have opportunity to receive basic education. 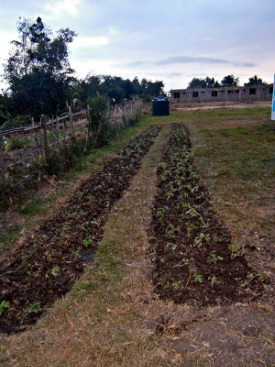 Because of that the team of Mawuvio's Outreach Programme made a first attempt of planting a small garden next to the new school building by the summer of 2013. In 2017, we fenced off 1,800 square yards for cultivating vegetables, fruits and herbs to feed all of our students. 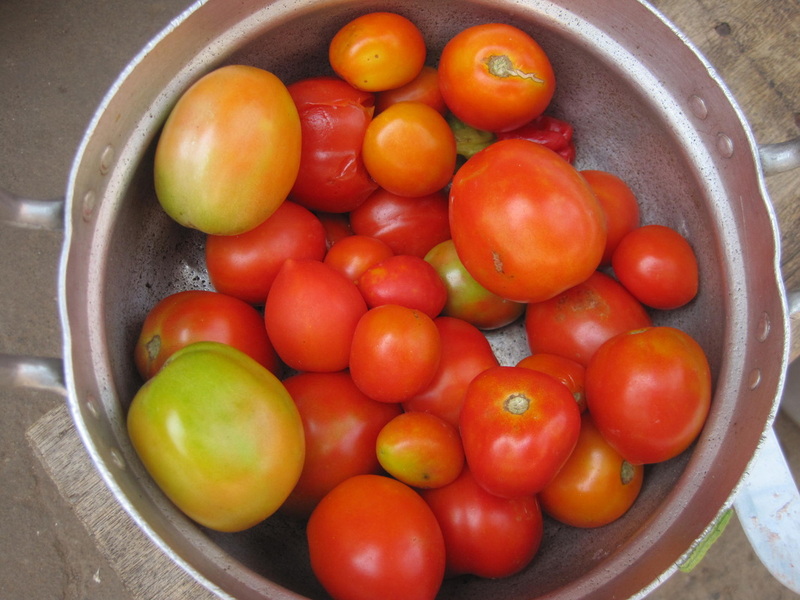 This should bring down the costs for foodstuffs and gain independence from price fluctuations. As well an overrun of harvested food can be sold at local markets to achieve some additional income. 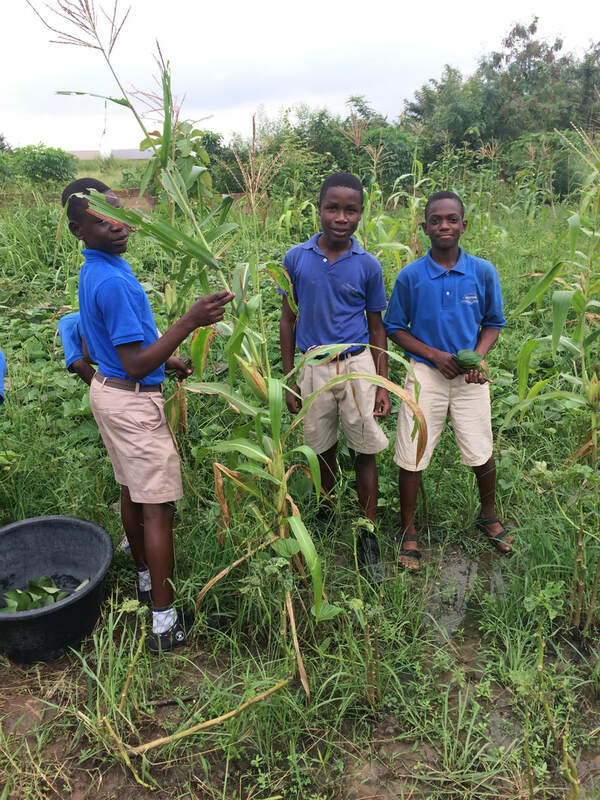 Students learn the skills to cultivate foodstuffs and teach them the required skills by implementing the topic into the lessons and by offering it as an after school programme. 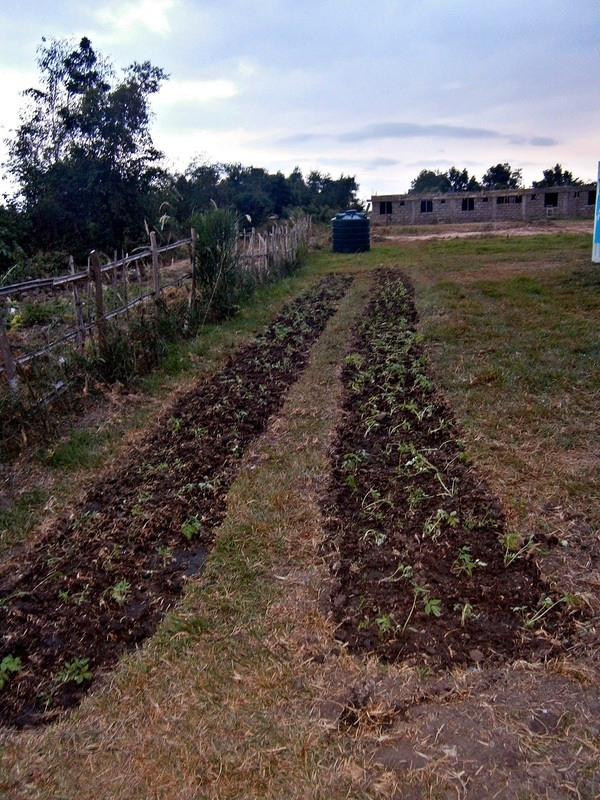 More pictures of our sustainable farm can be seen in our photo gallery.